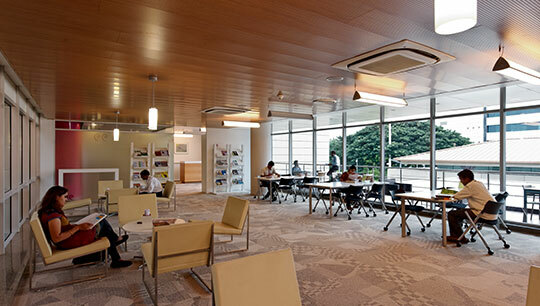 Office Carpet Area : 3275 ft. 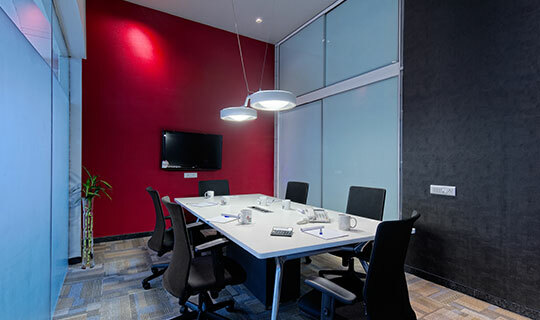 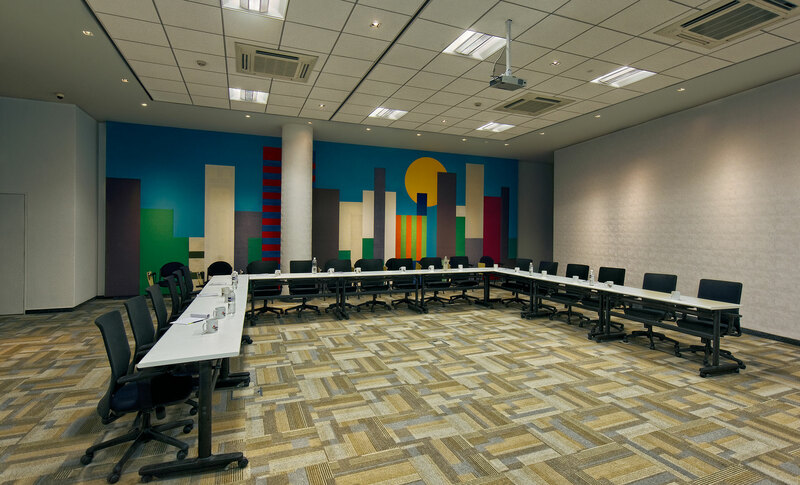 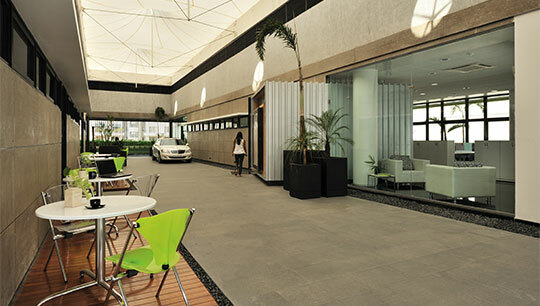 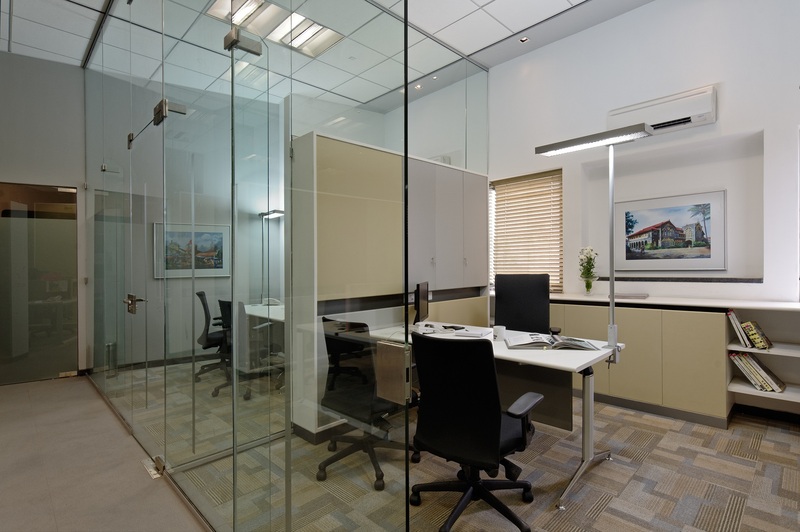 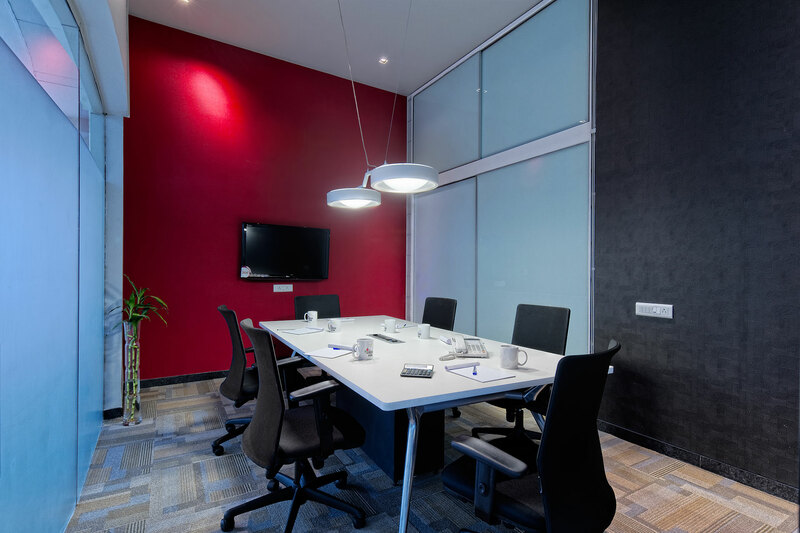 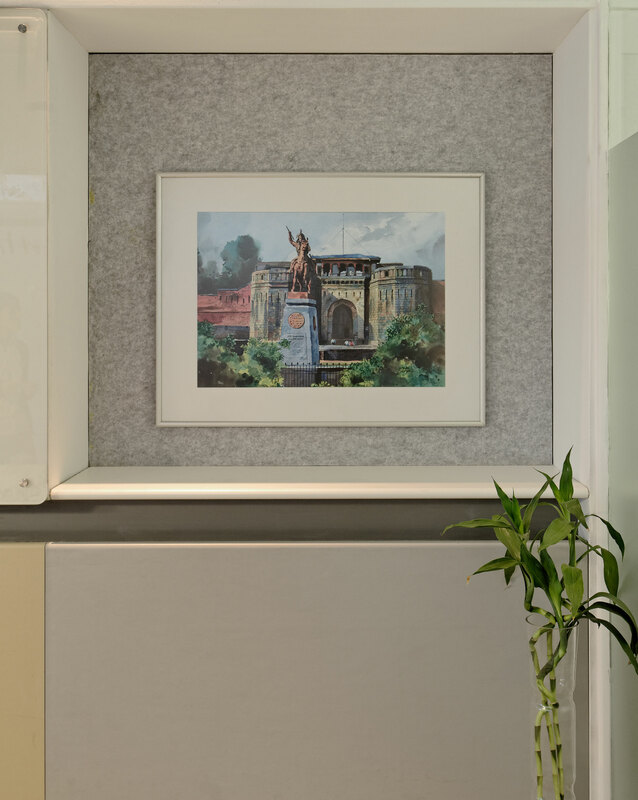 The office interiors for the Association of Promoters and Builders of Pune, at nexus mall, cater to the clients’ corporate functions, while facilitating convenient interaction between their employees and members of the community. 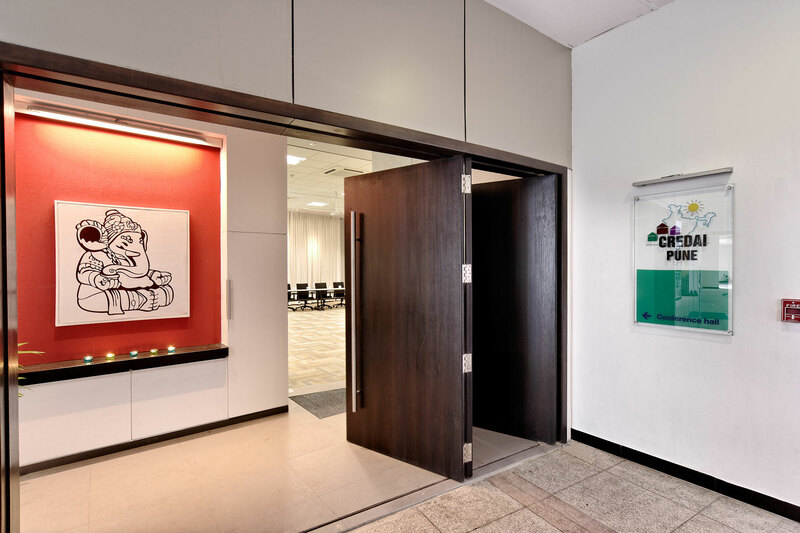 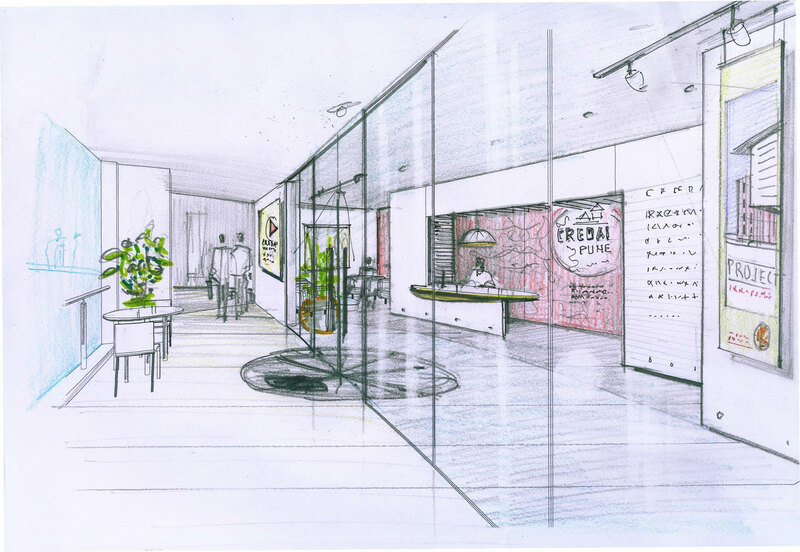 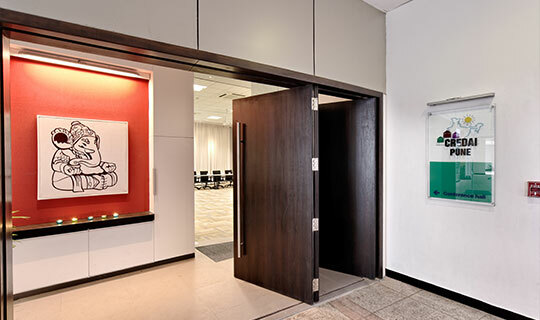 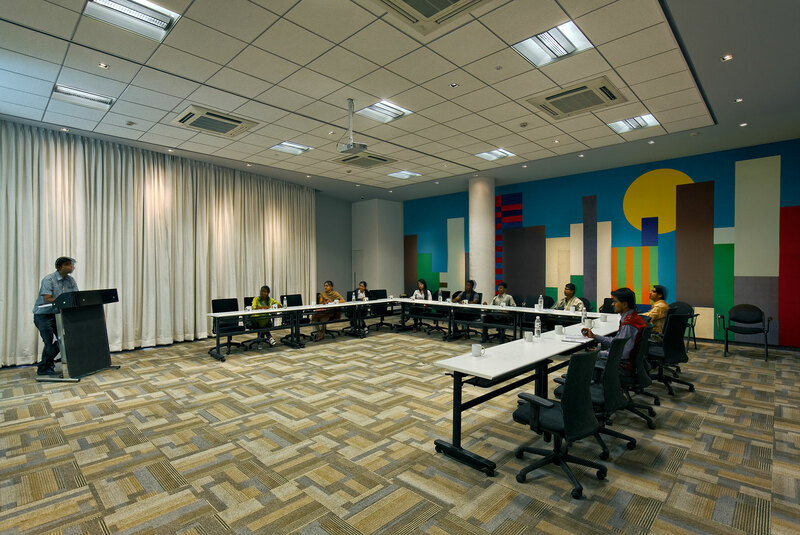 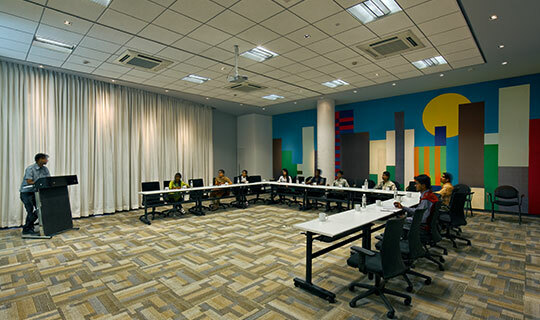 A value addition to the brief came about in the form of interactive spaces, used for the purpose of exhibitions, training courses, interactive meetings and workshops, making the interface between members, citizens and staff, a more interactive one. 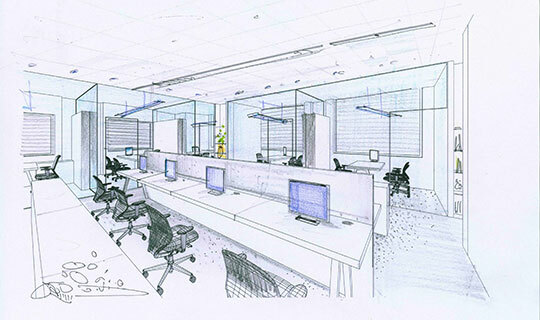 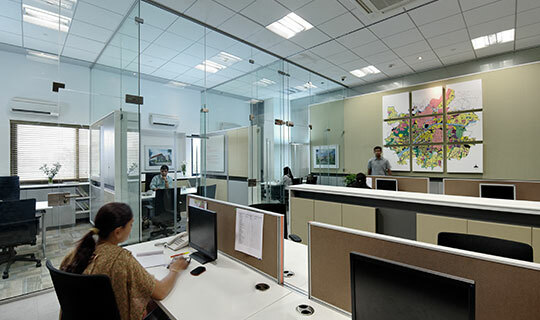 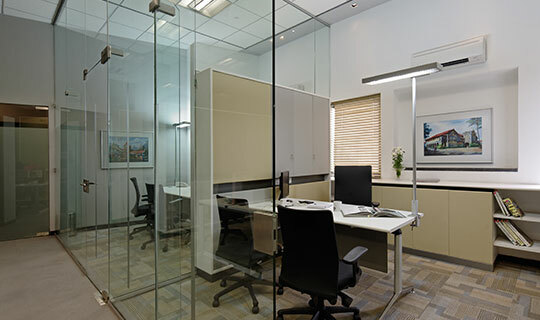 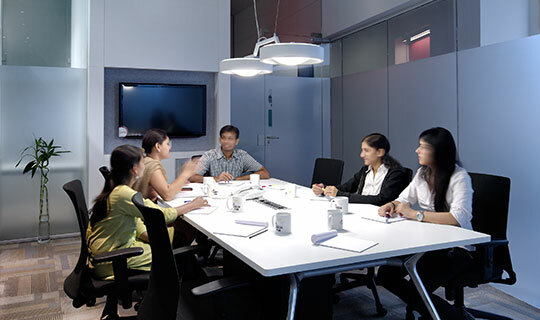 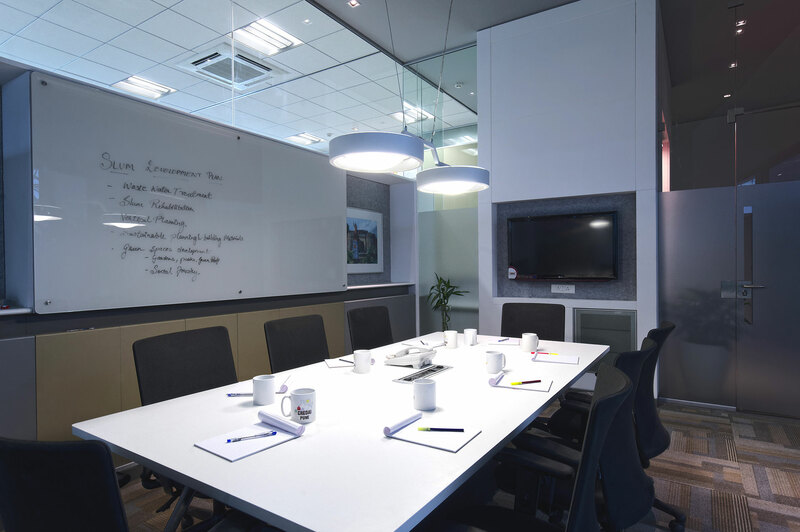 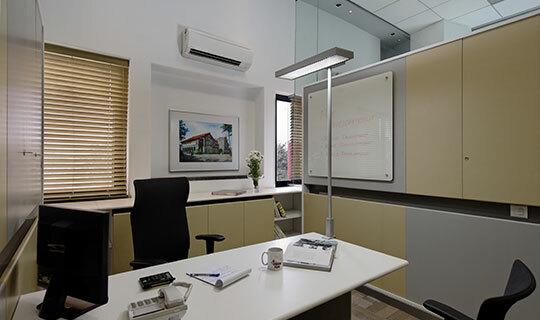 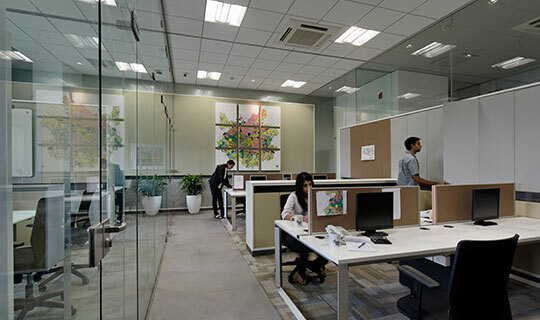 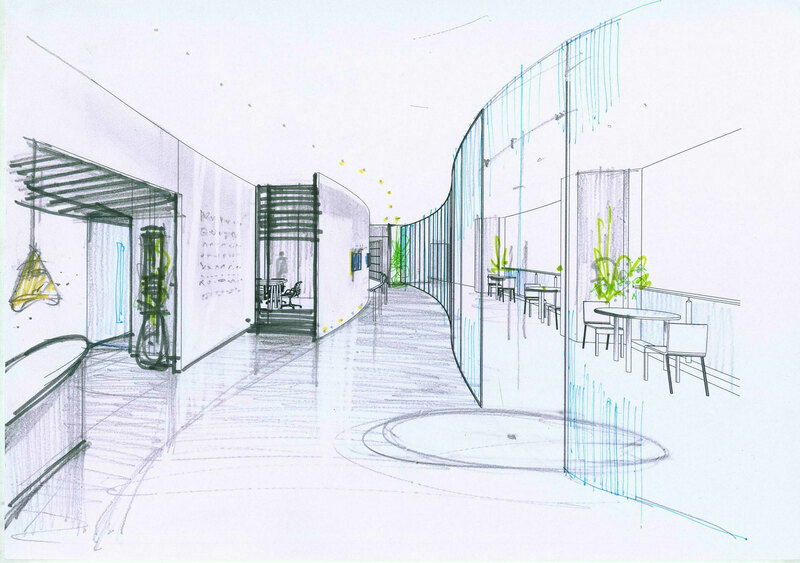 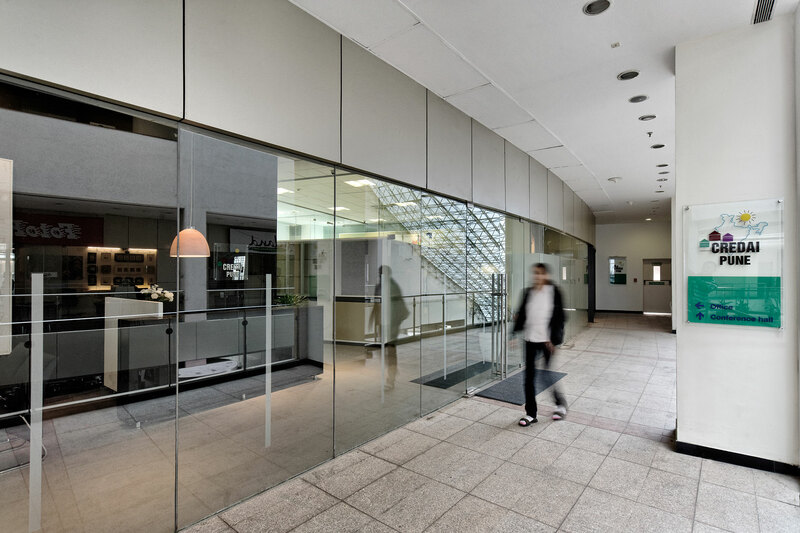 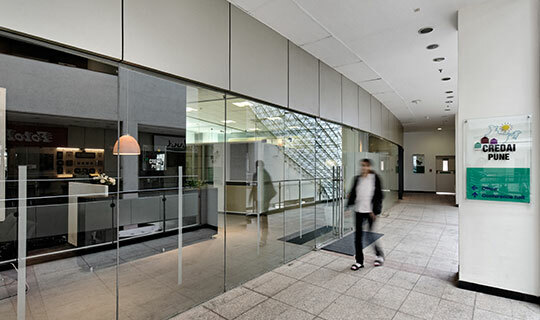 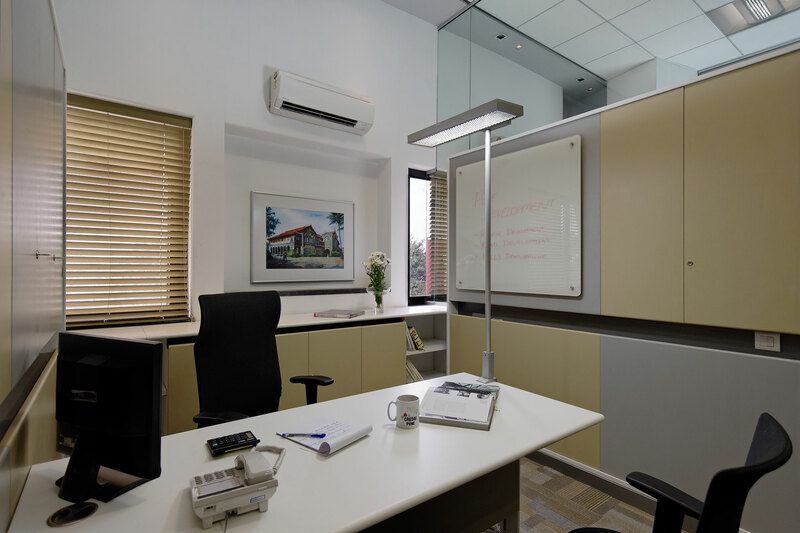 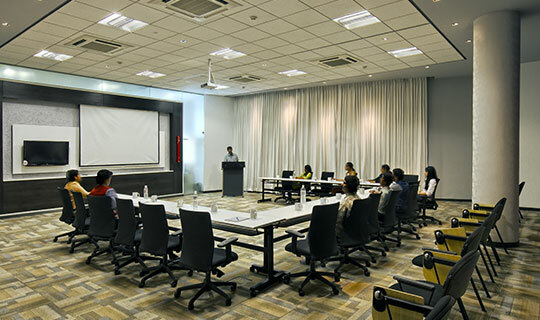 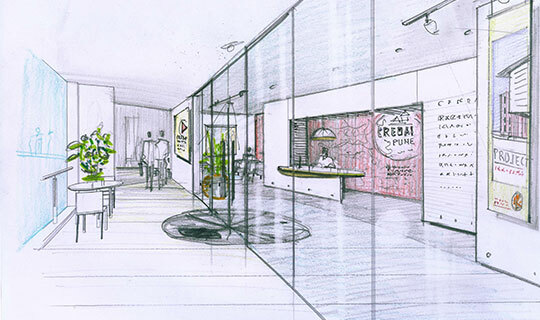 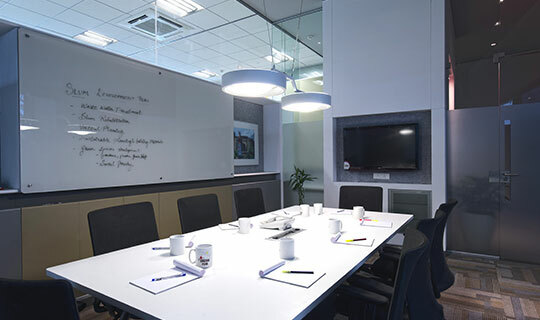 The layout of the office allows segregation of functional aspects, with a common passage leading to the main workstation, and extending to link to the conference room. 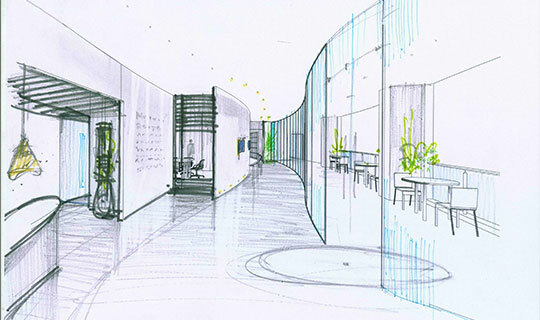 Across the common passage lies a linear breakout seating space, visually linked with the interiors. 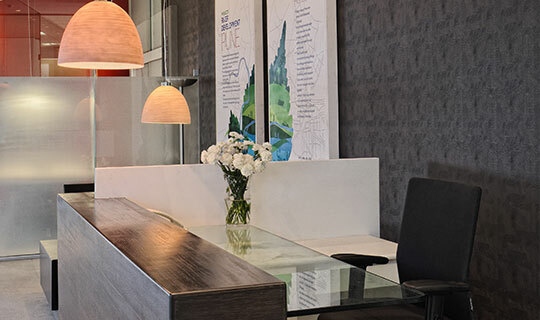 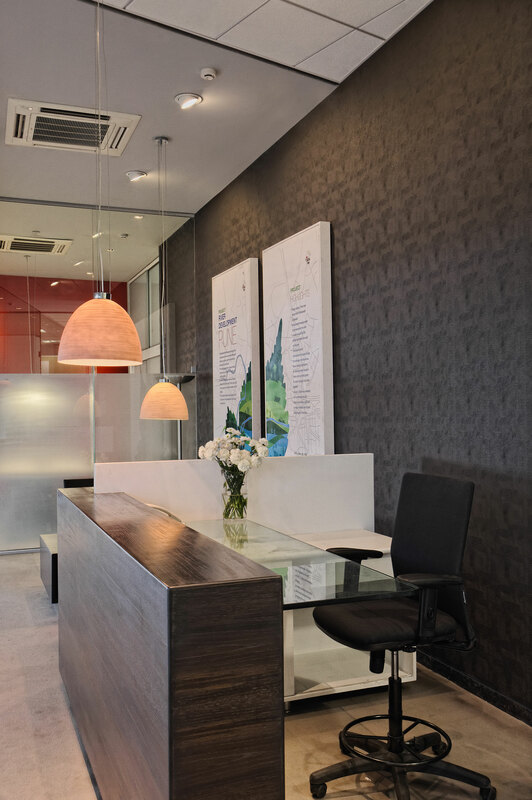 The main workstation area is composed of a reception desk and waiting area, a set of meeting rooms, 4 work desks and 3 private cabins. 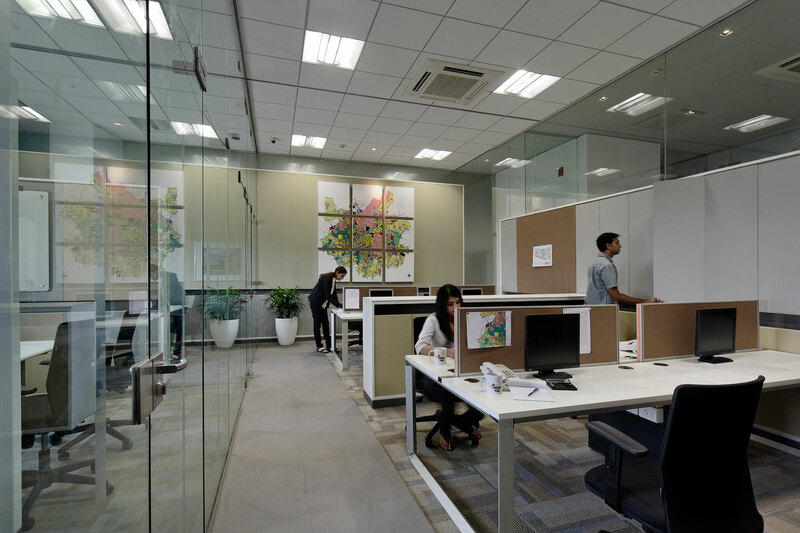 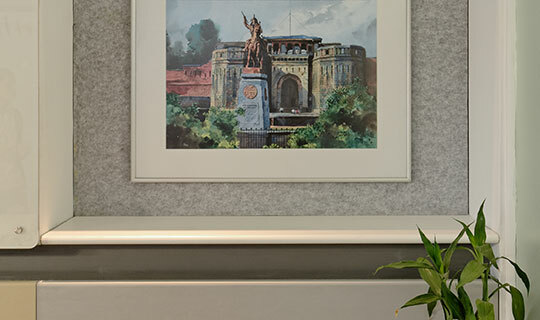 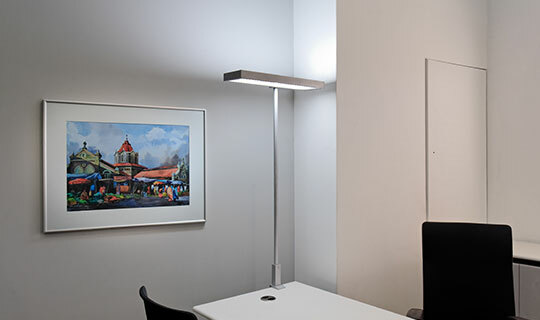 Ample daylight illuminates the workstations, while custom artwork, art installations and paintings adorn the various spaces, making a statement. 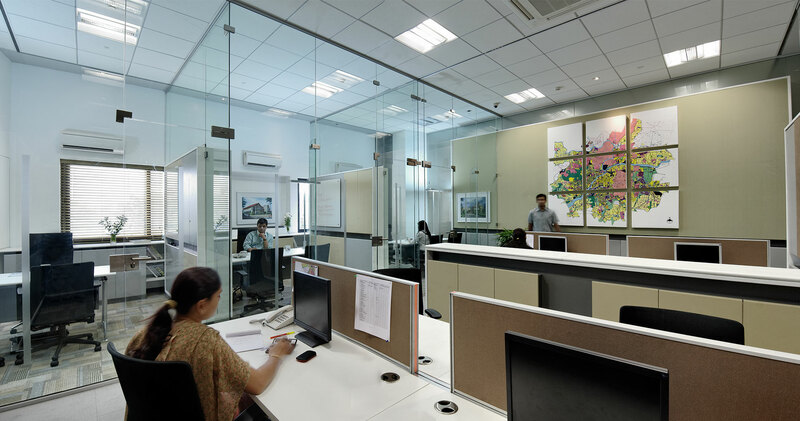 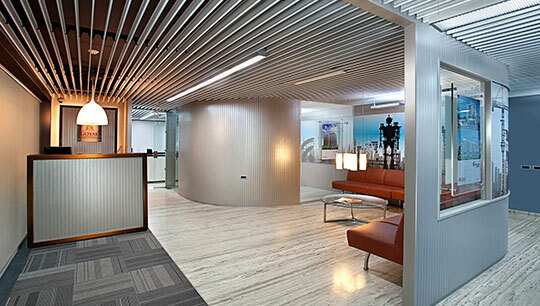 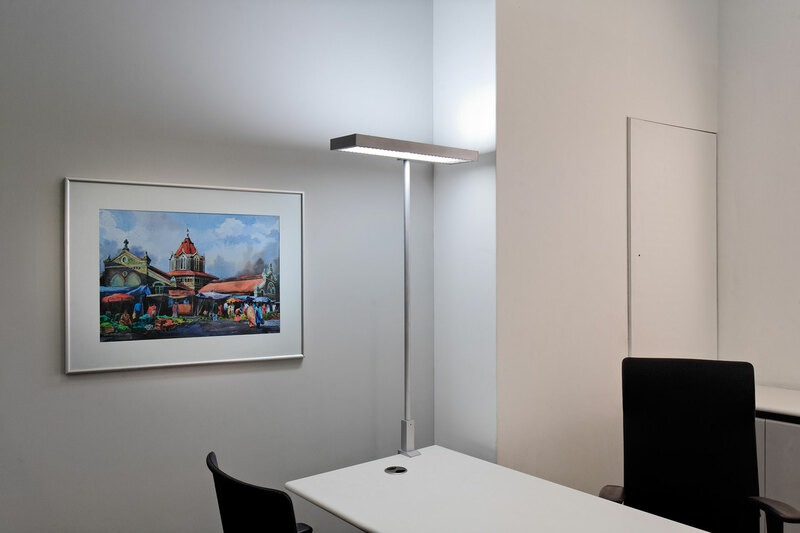 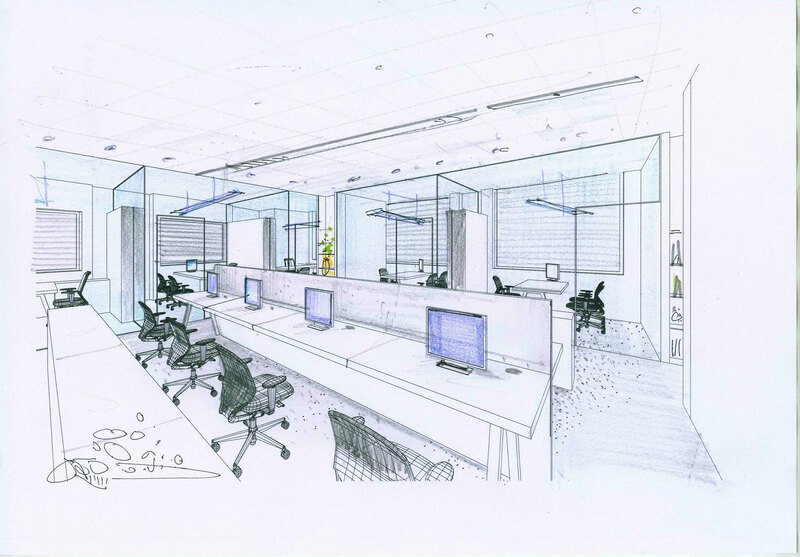 The design provides appropriate glare free lighting and acoustics, while ensuring optimum use and quality of space. 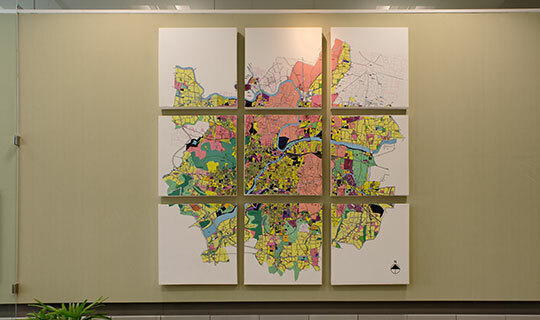 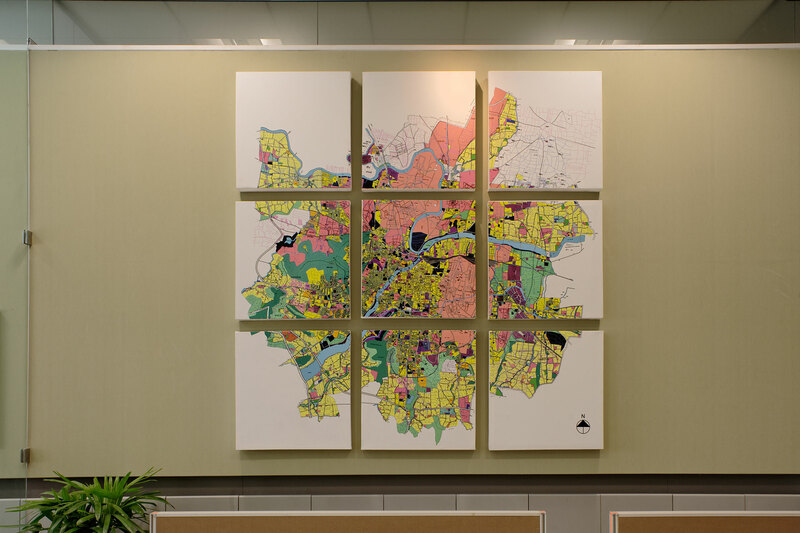 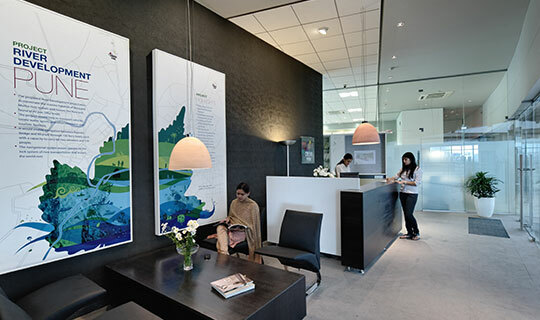 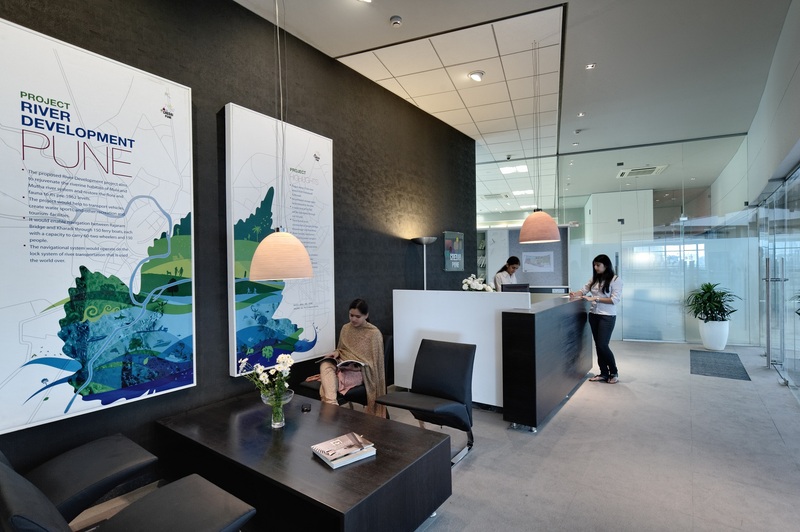 A soothing minimalistic colour tone is combined with various colourful graphics and artwork, making the space a pleasant work environment.